Got a smartphone or mobile device? Take your Legacy family files with you on the go! I have the Families app on my Samsung Galaxy S4 phone and love it. And while it provides the ability to do data entry in the app, I just like knowing that I can view my Legacy files wherever I am. Click here to purchase Families. Click here to watch a webinar about Families. Visit the app stores on your mobile device to download the update. Having my genealogy with me everywhere I go is so cool! Thanks to the Families app by Telgen, my Legacy Family Tree family files are available on my smart phone and tablet. It gives me access to my data, my pictures, and even my To Do List! Learn all about it here. Families 2.0 is now available which adds compatibility with our new Legacy 8 software. If you already have Families installed, you just need to update it to the latest edition (free) via iTunes (for iPhones or iPads) or Google Play (for Android phones or tablets - this is what I use). You'll also need to update the free Families Sync software here. Malcolm Green, the developer of Families and a fellow Legacy Family Tree user, presented a webinar on setting up and using Families. Watch it here. Got an iPhone, iPod Touch, iPad, tablet, or an Android smartphone? With the "Families" app you can take your Legacy Family Tree files, pictures, and To Do List with you - to the library, cemetery, or anywhere else. You can view AND edit the data on your mobile device and synchronize your changes back to your Legacy file on your computer. Join the developer of Families, Malcolm Green, for a demonstration of how it all works and what it looks like. "Can Legacy run on my iPhone?" "Can Legacy run on my Android?" "Can Legacy run on my tablet?" Thanks to the Families app by TelGen Limited, you can sync your mobile device with your Legacy Family Tree family file. Yes - I said sync - meaning, not only can you view your information on your mobile device, but whatever you add to it can be synced back to your Legacy file on your computer. I've personally never done this - I just have it on my Android phone (Droid X) so I can view it - and all my pictures, To Do Lists, names, dates, and places - any time I want. Click here to learn more or purchase Families. Malcolm Green, the developer of the app, will be presenting a webinar for us on Wednesday, April 11, 2012. He will be in London, England and you will be at your home computer watching. All you have to do is register (free) for the webinar by clicking here. I am so excited because I have found a way to use my NEW iPad and my Legacy Family Tree Software which is PC based together. They say it couldn't be done. 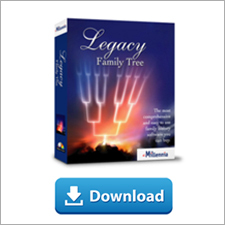 I wanted the iPad for many reasons but one was to have my family tree available to me any time........ and I love Legacy Family Tree and didn't want to have to change to another genealogical software. AND I HAVE IT ALL NOW. Yes the little app called "families" sync's with my iPad/iPhone, my computer and my Legacy database. Oh my goodness, I now have Families on my iPhone and my iPad....... I can edit and add information -- it contains all my family information at my fingertips. Originally I was looking ahead and wondering how I would handle my family database at Roots Tech Conference next week. 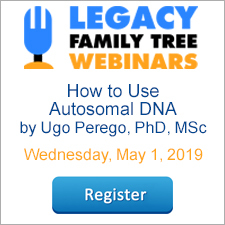 But while looking through all the upcoming webinars on the Legacy Family Tree website I came across the webinar about "Genealogy on the Go"...... stopped to read the information and just got so excited. Can this be true? Will this solve my problem? Can this really be true? I am here to tell you it is true. I signed up for the webinar but I didn't want to wait till April so I downloaded the Families app and followed the directions. I tested it out this past Wednesday when 40plus researchers took a bus ride to Sutro Library in San Francisco. I had both my iPad and iPhone with me armed and ready. IT WORKS!! I can be in the depths of the library looking over some microfilm/fische or documents and not have to go back to my chair and get my computer up and running, start my Legacy program and find the detail information I needed and then go back to the other room and resume again. It was right there at my fingertips...... I can hardly believe it, I am so excited about this for me and I could not wait to share it with you. Now I am really ready for Roots Tech, FGS, NGS and other conferences plus just every day time at the local archives.